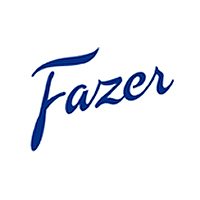 More about Fazer Nordi Raspberry & Tangy Licorice Dark Chocolate Bar This decadent chocolate is an exciting new taste experience for Fazer fans, but embodies the same traditional values Karl Fazer intended when creating the famed and beloved blue bars almost a century ago. 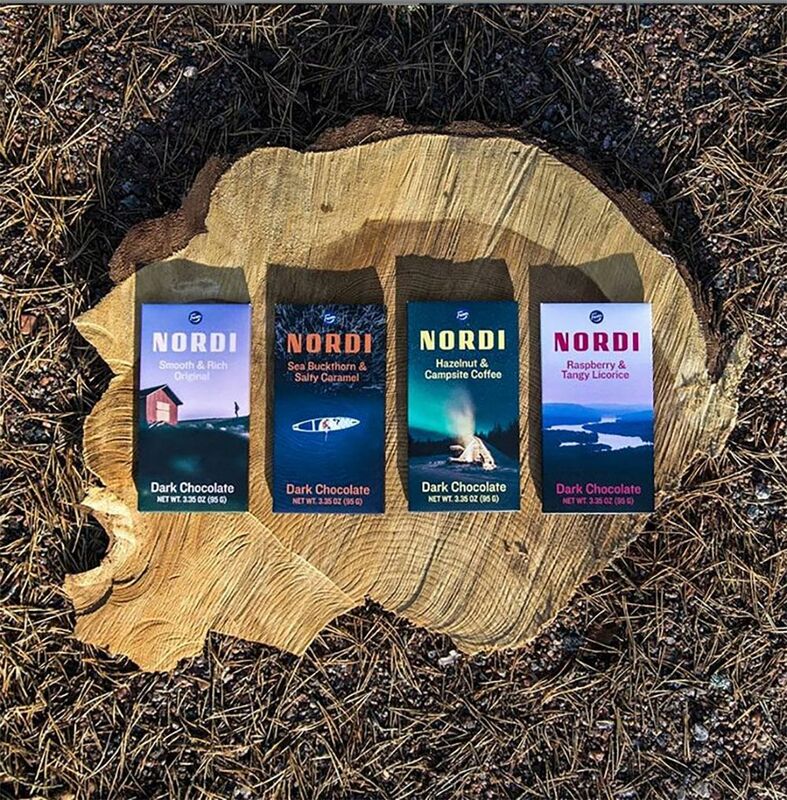 Channeling his spirit of courage, adventure, and discovery, these bars are inspired by the beautiful Nordic wilderness and the flavors found within Finnish forests. 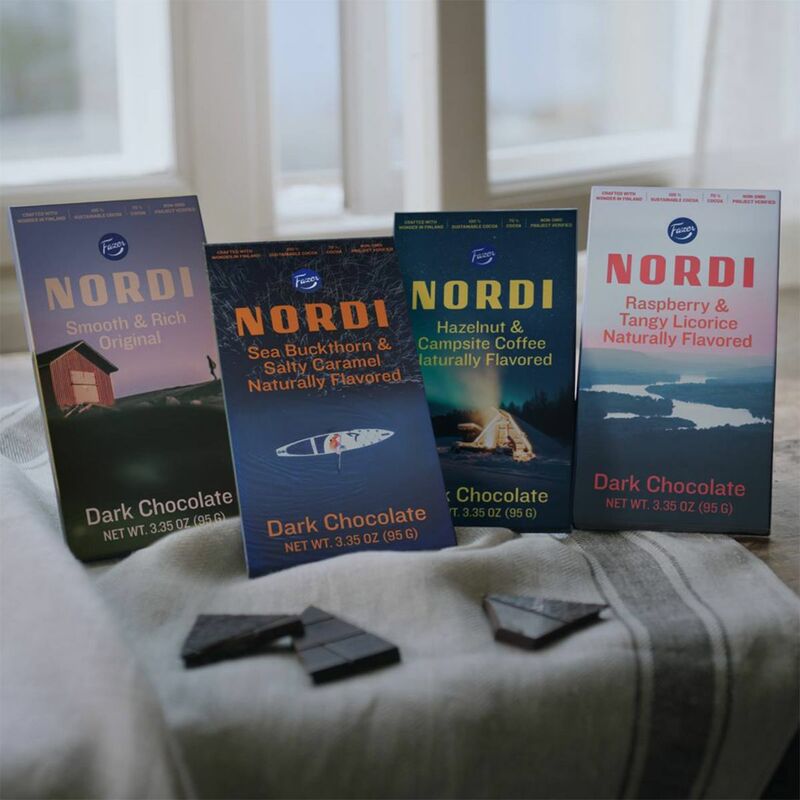 True to Finns' love of nature, this chocolate is made in Finland with appreciation for the environment and ethical production philosophy. It sources Non-GMO ingredients and 100% sustainably-sourced cocoa for a premium and natural chocolate that's perfect for gifting or your own enjoyment. This unique flavor has hints of tangy licorice laced and bits of sweet raspberry, the perfect after-dinner or anytime treat for your tastebuds. 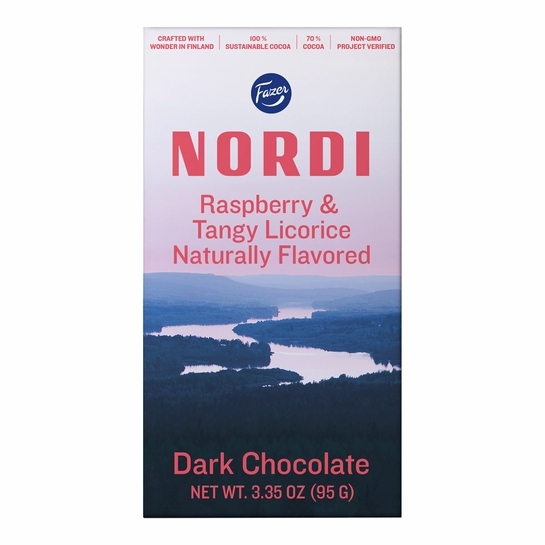 Ingredients: Dark Chocolate (unsweetened chocolate, sugar, cocoa butter, reduced fat cocoa powder, natural vanilla flavor), Raspberry Pearls (sugar, glucose syrup, elderberry juice, concentrate citric acid, lac-resin, natural raspberry flavor, sunflower oil, beeswax), Licorice Pearls (sugar, ammonium chloride, licorice extract, glucose syrup, natural licorice flavor, sunflower oil, beeswax), Raspberry Flakes (maltodextrin (from wheat), dried raspberries, sugar, modified food starch), Natural Raspberry Flavor. *Contains wheat. Manufactured on the same equipment that processes milk, treat nuts and wheat.